Fusion stone has outlined some DIY project ideas that can be explored in 2019. (PRLEAP.COM) Fusion stone has outlined some DIY project ideas that can be explored in 2019. According to the company, a new year is once again upon us, and with it comes all the possibilities of ways to transform your home and living spaces. Maybe you've just moved, or maybe you are getting tired of the design style of the home you've been in for a while. Either way, the new year brings on new style ideas, and here are a few to get you started, the company added. Paint your kitchen cabinets – It's incredible how much of a difference a simple coat of paint can make, remarked Fusion stone. Try using a lighter colour, as it will reflect light and make the space appear larger. Some big colour trends this year include hazelnut, soft clay and muted pastels. Consider installing an island in your kitchen. It not only offers additional kitchen space, but can double as a place to stand or sit around and chat about your day. Try painting it a bright colour to offset the solid colours of your walls and cabinets. Re-tile your shower for a whole new look. Try adding extra storage by installing a cut up wooden barrel on your wall. Add rope lighting under your cabinets for some late-night illumination. Class up the space with a modern bowl sink. Install a towel warmer for those chilly mornings. Living room – Fusion stone says, your living room should be a comfortable and relaxing space. You can help invoke these feelings in many ways. Make sure the room is well lit by adding lightweight window drapes or curtains. Revitalize the floor by buffing, sanding and painting it. Throw in a rug that matches your accent pieces to really bring the room together. Another idea put forward by Fusion stone is to install an accent wall to add some texture to the space. It can be either a whole wall, half of one under a mounted TV or around a fireplace. Any of our DIY products will help create an accent wall that will drastically transform your room. Front entrance – The entrance to your home adds curb appeal and makes your home more inviting. Consider painting your front door a vibrant colour, like red or blue. Add an extra layer of style by painting your window trim to match the front door as well. Add some extra lighting around your newly painted door and really make it pop at night. Make your house look brand new with the help of a stone veneer product from Fusion stone. Dry-Stack, Peninsula Ledgestone and Great Lakes can all be used to help your home look modern yet rugged. It's a complete transformation that virtually any homeowner can do with only a few basic tools, the company added. 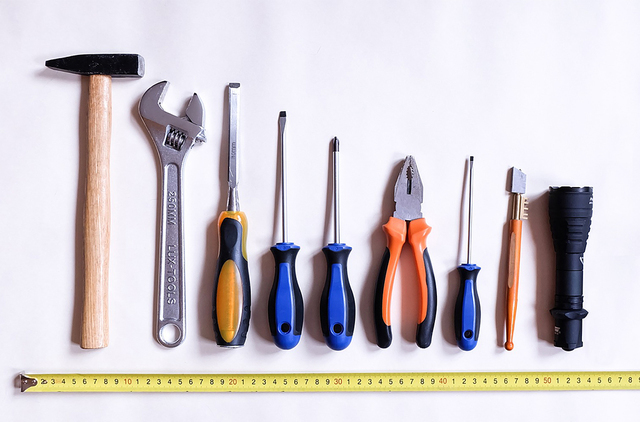 Add more storage – As a Canadian homeowner you need space for all your tools and accessories. Lawnmowers, snow blowers and car related items take up a lot of space. If you find that you're lacking in that department, consider adding a small shed in your backyard. Complete kits can be purchased from any big-box home store, or you can design and build your own. No matter what project you decide to tackle this year, be creative and confident in your abilities. Fusion Stone have designed her stone veneer for the DIYer, which means that starting and completing your next home renovation project has never been easier.